In the summer of 2015, while visiting James’s brother and his new baby, Autumn noticed a cider-makers treasure. Walking through the back orchard with Steve revealed loads of scabby MacIntosh. With a brand new baby and busy nursery business to care for, these towering 150 year old trees were the last thing on Steve’s mind during the rainy spring months when venturia inequalis spores infect apple leaves. Once he realized the trees had scab, he left them unsprayed and the fungus spread from leaves to fruit causing ugly black scabs which made the apples unsaleable to silly u-pick customers. However the fungus causes the fruit to crack and dehydrate, concentrating flavors and sugars. Some of the apples tested as high as 26 brix at harvest and had significant tannin. This ancient tree juice fermented slowly and naturally with wild yeast yielding a surprisingly complex and aromatic cider. 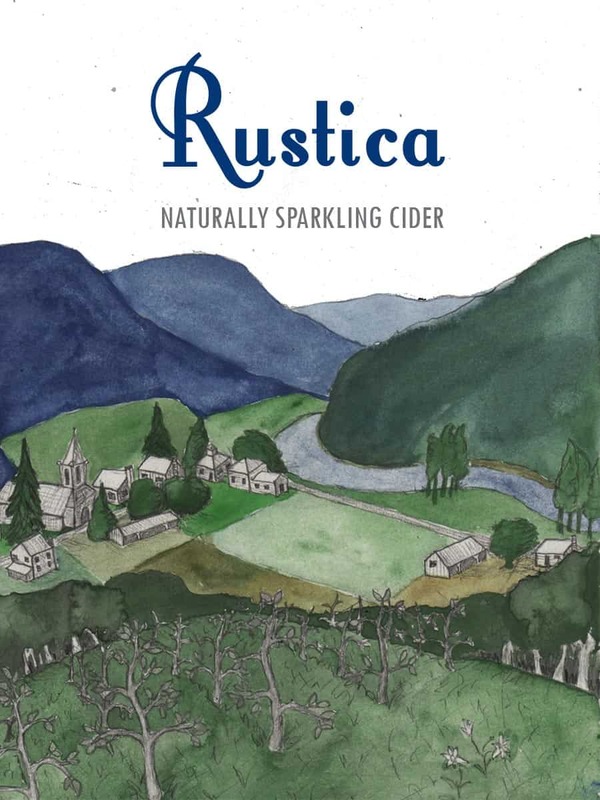 Rustica is a gateway cider. The dosage on this naturally sparkling cider is a sweet reserve made from cryo concentrated apple juice and cider from wild seedlings. The result is a balanced and accessible sweeter cider with all the familiar unfermented apple flavors, a fine and delicate mousse and just a touch of tannin. 20% of the fermentations were wild ferment, 80% were inoculated. The dosage was a sweet reserve made from cryo-concentrated apple juice.